It’s only been a couple of years since the first branch of Kulcha King opened in Dubai. Now they have 9 restaurants in Dubai and one in Sharjah. That’s amazing, right ! I was invited to the pre Diwali buffet dinner at Kulcha King’s Flora Hotel branch last Tuesday. Kulcha King at Flora Hotel is the latest and their biggest branch. It is located on the ground floor of Flora Hotel in Barsha. I didn’t have any difficulty getting to the place, as it is right next to Mall of the Emirates. I have been to the other branches of Kulcha King many times. The result has been the same, never got bored of their delicious food and always crave for more. They have maintained the same quality and taste. I was looking forward to my dinner at this latest branch. The big change that I found in this branch is the decor and space. This branch is huge and spacious. The interiors of this branch is modern and elegant. It has bright lighting and comfortable seating. The decor is tastefully done. This casual dining spot has a fine dining buzz to it. 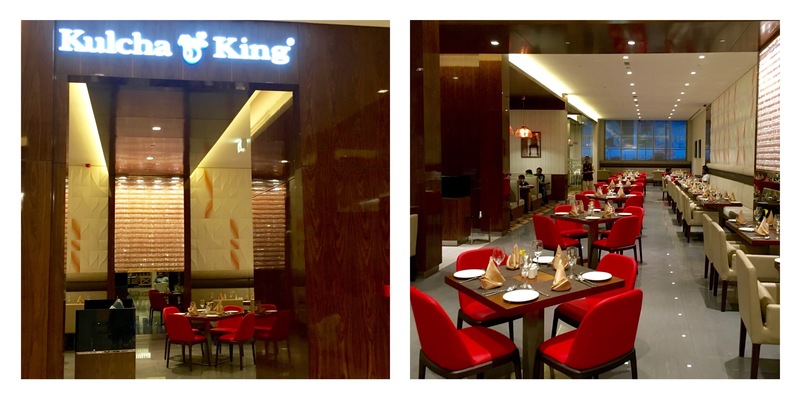 Kulcha King is a North Indian restaurant specializing in Amritsari cuisine from the state of Punjab. They also offer Chinese cuisine. They offered us a wide variety of drinks to start off our dinner and I had the green lemonade, that is the Pudina Sharbat, this drink is made with mint and lime juice and good for digestion. Served chilled, it makes a perfect summer cooler. I liked this light and refreshing drink. As it was a pre Diwali buffet, I immediately hit the buffet station to check out, what they had to offer. I helped myself to some fresh salad, Pudina chutney and Hare Bhare Kebab. The buffet also had Fish Koliwada and Chicken Tandoori for starters. But being a vegetarian, I could only have the Hare Bhare Kebab. This spicy and delicious starter is made with spinach, green peas and potatoes. Though it was deep fried, it was not oily. I tried the Veg Hakka Noodles and Vegetable Manchurian next. This was the first time that I was trying Chinese cuisine at a Kulcha King branch. I wasn’t expecting much. But I was taken in by surprise. Both the Noodles and Manchurian was well cooked and tasty. Infact, their menu offers wide variety of Chinese dishes. It was time for Kulchas now. Kulchas are Indian bread made from flour rolled into a flat, round shape, with a choice of filling and baked in the tandoor. It is served with Chole and Tamarind Chutney. When my Kulcha was being prepared, I went to the buffet station to get other curries to go with the Kulcha. There was Kadai Paneer, Dal Makhani,Deewani Handi, Chicken Masala and Fish Amritsari. 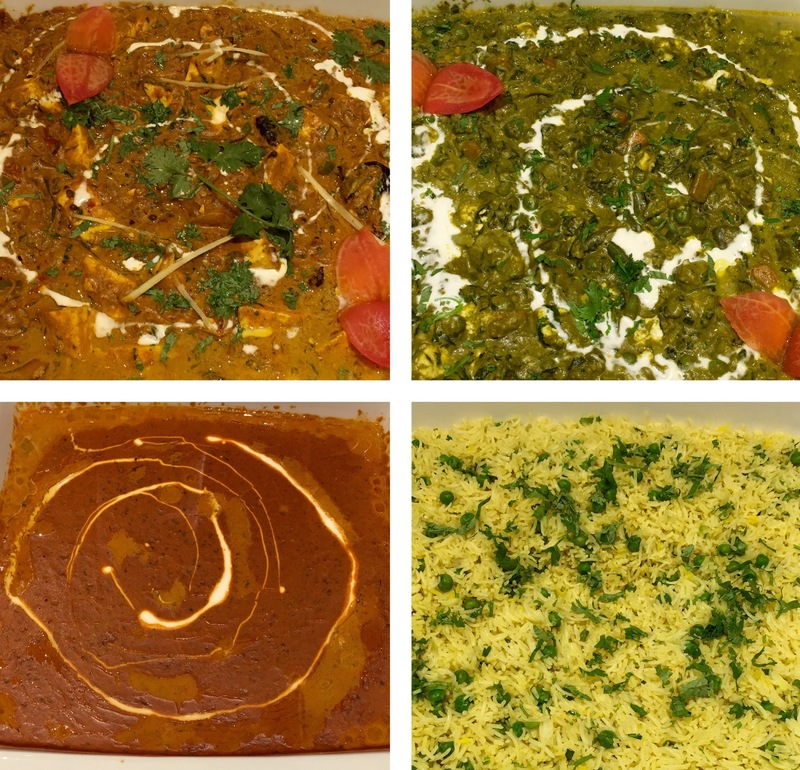 I tried all the vegetarian curries. I liked the Dal Makhani the most. It is one of the most popular Punjabi Dal, made with a combination of Rajma(red kidney beans) and Udad dal(whole black gram) with cream. It had the authentic Punjabi taste. Deewani Handi had a medley of vegetables with spinach. The rich and creamy gravy was made with cashew paste, onion, tomato and cream. It was tasty and flavorful. Kadai Paneer is made with paneer, capsicum, tomato,onion and traditional Indian spices cooked in ghee. I found Kadai Paneer a bit spicy for my taste buds. The main star of our meal is Kulcha. At Kulcha King you can expect the most authentic, fresh and tastiest Kulchas. 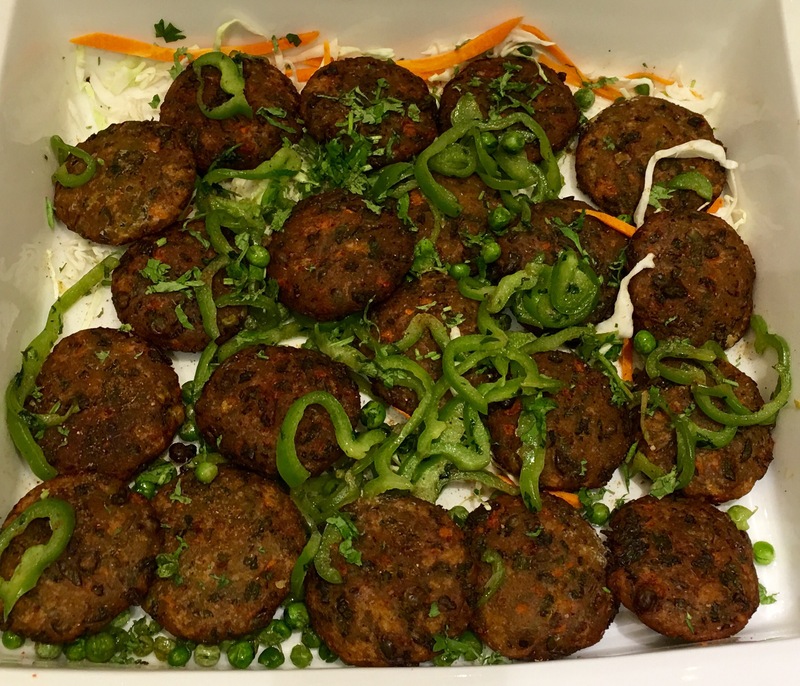 They come with a variety of fillings, both vegetable and meat. I had 4 varieties of Kulcha- onion, aloo, paneer and gobi. All of them were excellent and tasted amazing with a dollop of butter on it. Chole and the special tamarind chutney made a great combination with the Kulchas. Each bite took me closer to home, I relished my meal. I also had Peas Pulao, this simple rice was delicious. There was condiments like salad, pickle,papad, chutney and Raita. A meal cannot be complete unless you end it with a dessert. I had Gulab Jamun,Rabri and Phirni for dessert. I loved all the desserts, but Gulab Jamun was my favorite. 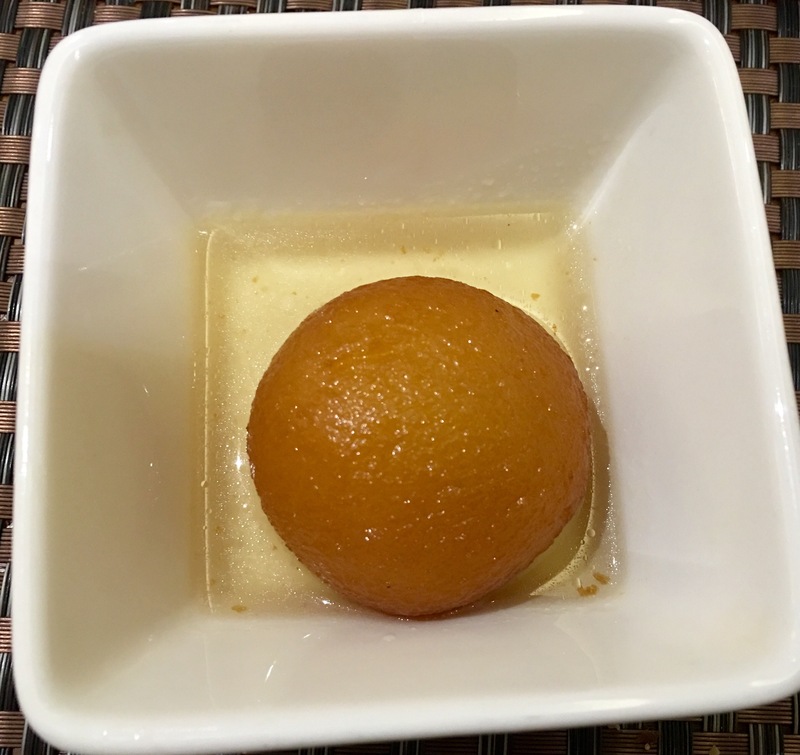 The Gulab Jamun was freshly made and was piping hot. It had the right amount of sweetness. I couldn’t stop for just one and had to ask for second helping. Rabri is one of the most loved North Indian dessert. 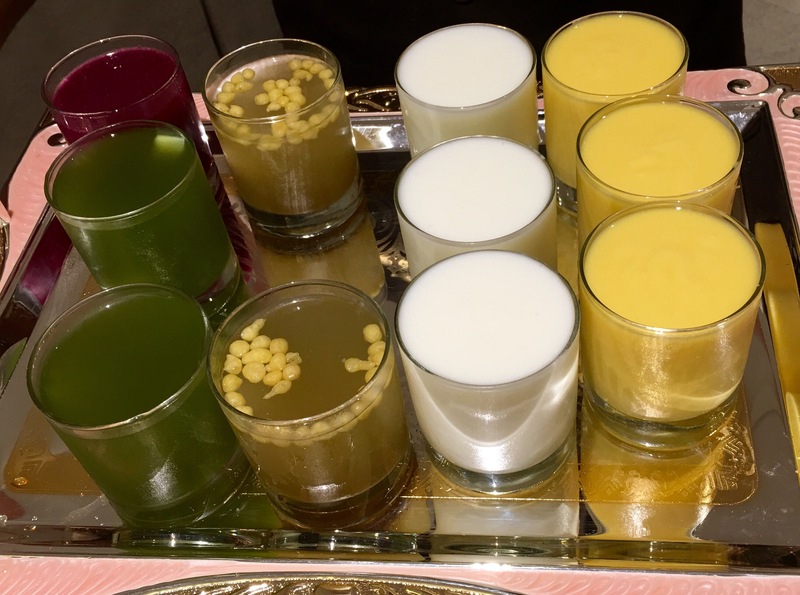 It is made with sweetened milk with cream and flavored with saffron and cardamom. It was garnished with nuts and served chilled. It tasted yum. 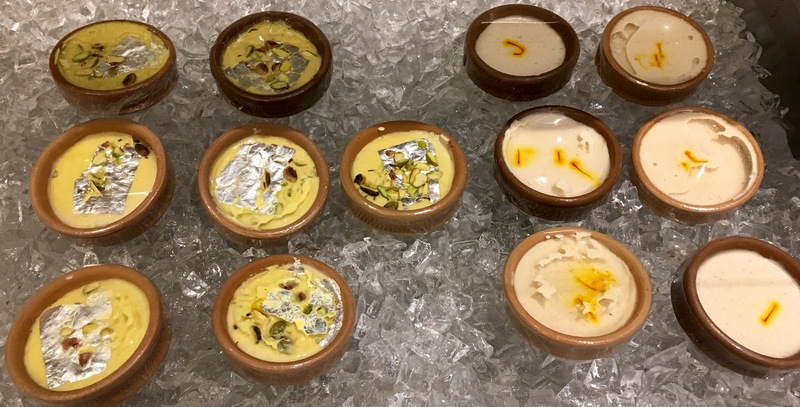 Phirni is a rice based dessert. It was sweet,rich and creamy. This delicious dessert was served chilled, in a clay container. Kulcha King has A La Carte menu. They also do buffet on special occasions and for large groups. They also do catering and home delivery. The pricing is reasonable and the portion size is generous. Kulcha King is a good all day dining spot, be it breakfast, lunch or dinner. The food, the service and the ambience is good. You can expect great hospitality. 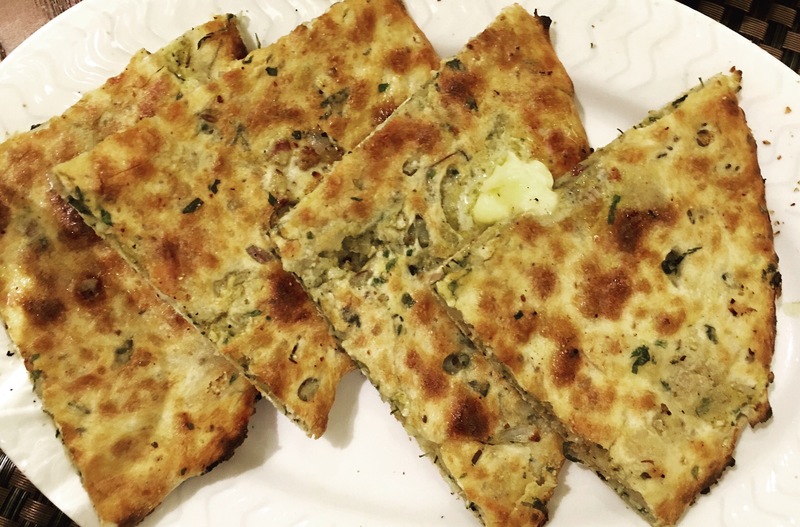 I had a wonderful culinary journey to Amritsar via Kulcha King. I would recommend you all to do the same.